New Orleans has such an alluring culture, one of the largest entities of what we consider southern hospitality and charm. One could ramble on and on about what set sets this city so far apart from any other. Its essence infectious as that can be agreed upon, especially around the famous celebration that is Mardi Gra. 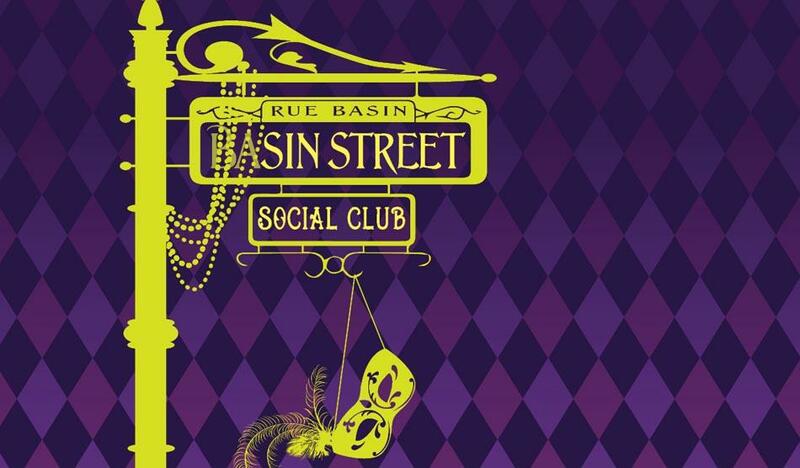 Sin Street Social Club, which just had its world premiere at the Arvada Center for the Arts and Humanities, has encapsulated a New Orleans that entices the senses to the fullest. This witty comedy, is a new spin on, Aphra Behn’s The Rover, written by Denver playwright Jessica Austgen, with direction by Lynn Collins. The comedy follows the St. Claire sisters, Florie Mae, (Emily Van Fleet) and Helen, (Jessica Robblee) as they attempt to outwit-an overprotective brother, a gangster’s moll, an ambitious rover-against the bustling streets of 1916 New Orleans, in order to save their decease father’s dying social club. Austgen’s talent is everywhere, the clever way her character’s personalities invite the audience form the moment they enter, to their quick and engaging dialogue, the audience finds themselves right in the center of New Orleans within a blink of an eye. There is so much that is given, so much personalty and care that not falling in love with these characters is unthinkable, especially the overly innocent Florie Mae, and strong willed Helen. Van Fleet and Robblee are unrecognizable, their comedy chops take hold of Austgen’s comedic jokes, and spin them into perfectly timed joy. Their fellow actors, such as Emma Messenger, Geoffrey Kent, Zachary Andrews, Lance Rasmussen , Regina Fernandez, Larry Cahn, and Abner Genece, create a beautiful atmosphere with so much laughs that we as the audience wish to invite them over to hear their character’s stories and marvel at their splendid talent. With a set by Brian Mallgrave, who again, creates another extraordinary world within the black box theatre, and sound by Jason Ducat, Sin Street Social Club climbs a bold mountain of comedic feat as high as the Rockies all the while keeping you in that warmth of southern hospitality only New Orleans can provide. The Arvada Center chose wisely when putting their faith in Austgen. By the time the curtain falls on the Sin Street Social Club, the sense of joy and awe in the air is bright. It only grows realizing this is a world premiere written by a Colorado Playwright. It is so important as encouraging local playwrights is a feat of its own, and this production presents the incredible possibilities of a bright future for playwrights in the Denver Community and the theatre productions that are to come. What is it about strange, hauntingly dark and twisting tales that are so alluring to us? Perhaps it is the bleakness of their settings, the deranged or unhinged behavior of its characters and their desires that sends them into a more desperate state of mind. Whatever this pull maybe, its strength is resinating within the bleak settings of the Arvada Center’s production of, The Moors which opened yesterday on a snowy Friday evening. Set in the deep country side of the Yorkshire Moors, the story follows sisters, Agatha (Emma Messenger) and Huldey, (Jessica Robblee), who await the arrival of their new governess, Emilie, (Regina Fernandez). What ensues is nothing shy of a modern Penny Dreadful that leaves you laughing till the ends shuttering halt. Director Anthony Powell brings his wit and clever view for the third play in the Black Box season, creating a dark comedy that weaves a tale of twisting shock and gothic horror. From the moment you step into the enthralling set designed by Brian Mallgrave, your sense of disbelief is already being suspended as high as the antique chandler that hangs above. As the lights to the chandler dim, the manor on the moors comes alive. We see Agatha and her sister waiting patiently; the maid (Annie Barbour) cleans quickly in preps for the governesses arrival. Emma Messenger’s performance as Agatha is spine tingling. Her presence on stage draws you in as any lead character should. But there is truly something whenever she and Regina Fernandez, are on stage. While the set begins to stretch your disbelief in what is and what isn’t. These two women push it even further from the moment the show begins. Their characters playing off one another so well, switching the roles of meek, to demanding, to meek again in a way that leaves you a bit breathless and all the more terrified. With this being said the entire cast is so vividly engulfed in their character’s personality and tales that as an audience member your suspension of disbelief is all but dust in the wind. Forgetting that you are watching actors on stage. You even forget that two of these actors, Geoffrey Kent and Emily Van Fleet, are incredibly playing a mastiff and a moor-hen. This is what is so powerful about this dark cleverly written show. Both its character and story will leave you on the edge of your seat forgetting that it is pouring buckets of snow outside of the theatre. 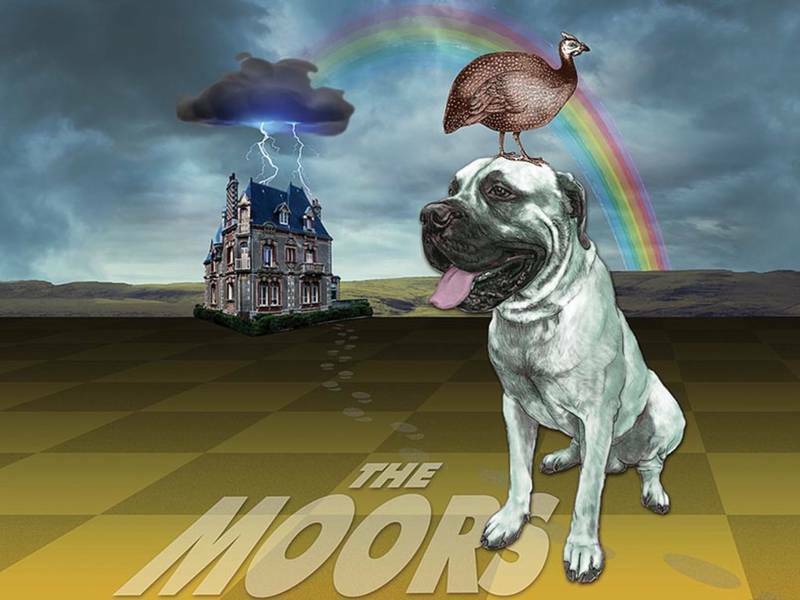 The Moors takes you by the collar and beats you over the head quite literally with non-stop, shock, laughter, and downright disbelief that you won’t see it coming. The reality of our world is hard to swallow. Some more than others and in those moments as we reflect on certain events, we look upon them with glassy eyes and pain in our chests. Our own humility wanting to reach out to aid in those long lost. Yet even in those dark times such as the horrors of the Holocaust and World War 2, a glimmer of what was survives. A voice of hope and innocence that shows the beauty underneath the horror. That is exactly what happened with The Diary of Anne Frank, which now has found its way to the Arvada Center for the Arts and Humanities. Directed by Christy Montour-Larson, this play tells the true story straight from the pages of Anne’s diary. How her, her family and the Van Daans, hid away in the annex of her fathers company as the Nazi’s invaded the Netherlands. What this cast manages to convey is beyond words, even as I am typing right now I find it very hard to describe. Watching the show, the rawness of the performances, the audience was given a sense of honest comfort. Darrow Klein is Anne, switching from the innocent beginnings of her early days in the Annex to the honest, and blunt woman she was becoming in her later days with a smooth transition. Klein is incredible. Embodying Anne with every once of respect and grace that I’m sure will charm anyone who sees her. The rest of the cast for a better word are unrecognizable as their characters. Emma Messenger, and Emily Paton Davies being two that are completely lost behind the faces of Mrs. Van Daan and Edith Frank respectively; tugging at your heartstrings with a single expression. Then there is Larry Cahn as Otto Frank, (Anne’s Father) personifying a mesmerizing soul with a single line. This cast soars, paying homage to those whose courage defied the worlds limits in such a harsh time. Their dedication shines even during intermission as the actors never leave the beautifully design annex by Brian Mallgrave. Walking about the beautiful stage just as their characters would; unable to leave their hiding place. Something as small as this speaking such volumes to the seriousness of the situation and what so many endured at the time. Sometimes it can be a very big risk to take on a show such as this. With its material and truth that travels along with it. I can only praise the cast, crew and director for dedicating their time in telling this incredible story and bringing Anne’s diary to life before our eyes. The production as a whole is a masterpiece of historical truth. Ensuring Anne, her family and the Van Daams are real, and are heard; even down to the fantastic lighting design by Shannon McKinney, who lifts Anne’s words right off the page. While Jason Ducat gives sound to the horror of what happens just outside of the annex’s safety. Many plays based on true stories come with certain expectations, and tone. Some may be encouraged to dull this tone down in order for its audiences to understand. Yet The Diary of Anne Frank doesn’t do this. They step forward boldly during a time where we ourselves aren’t sure what tomorrow will bring. Showing that Anne’s voice was in need of being heard, her story was in need of being told once again. Creating hope for us all despite what could happen. The power of her words giving more than she could have ever imagined. Seeing the actors during their bows, eyes wet, tears streaming down their cheeks, emotions no longer hiding from the truth of Anne and her family’s story, we reflect on what was and look forward to what we can do to create a better world. Subjectivity is a very interesting thing, it is beaten out of the brains of all writers alike that make their way through the educational system. Being a lover of English and Literature myself, I cannot tell you how many times I had to “shut off” the subjective side of my brain when it comes to literary analysis or critique papers. However, that is always easier said than done. Yet the question is still lingering like a shot of whiskey that has just been poured. Does subjectivity, matter more than objectivity? Does the normal, educated appearance matter more than one’s own unique personal identity? These questions are fully explored within the Arvada Center’s production of, Educating Rita, that opened last night to an almost sold out crowd. The play, directed by Lynn Collins is the opener to the Arvada Center’s Black Box season and creates an overall shock factor to both the mind and soul. The story revolves around a young woman named Rita (Emily Van Fleet) , who enrolls in an open university literature class, taught by a professor named Frank (John Hutton) who prefers to spend the night at the pub rather than the theatre. Over the course of their lessons both Rita and Frank find themselves learning from one another, all the while revealing the importance of the human mind, and what we define as “educated” can mean more than what we give it credit for. This is emulated perfectly when considering that the only two people ever on the gorgeous set design by Brain Mallgrave is Rita and Frank. Which in the case of Hutton and Van Fleet is both an amazing and intriguing mix, the two actors create that instant connection needed when having only the two of them performing throughout the whole show. This can be hard on actors sometimes, but both actors carry this story on their shoulders with grace and ease. Keeping you in your seat with a curiousness as to what will take place during their next lesson. The power of both of their performances is the crown jewel of this play. Both actors clearly understand their characters very well and embody them to the best of their ability. The mix that is created between them is perfect, as if they were the embodiment of the comedy and tragedy masks that are not one without the other. It is rather tragic to watch as Frank slowly watches the inevitable happen to his student as she looses some of herself in order to meet the expectations of the world. And this is something that playwright Willie Russell encapsulates so well within the character of Rita. Despite the play being set in the 80’s its relevance is just as important now as it was then. The theme’s of personal identity vs. cultural class can really weight on Rita who must fight certain societal stereotypes constantly in the back of her mind and in the wake of her personal life. It is in that moment that Van Fleet has the audience at her feet. Equipped with a Liverpool accent of the highest ability she is able to take this theme whether the audience is aware of it by this point of the show or not and slap them right across the face with it. Leaving Hutton to merely stand there within the closing moments of the first act as she presents the defining realization of what goes through people of different social classes minds when fighting to break out of the norms of their environment. Overall then entire production is fantastic and should be added to your list of theatre of need to be seen within the Denver Metro area. From the directing, acting, designing, and dialect couching, each piece fits perfectly together to create a powerful night of theatre that truly takes you places you did not expect to go. Leaving you to question yourself and how important subjectivity is when looking at the objectivity of the world. Whether you find the answer is fully up to you. There are very few musicals that are able to create such a natural irresistibility that even the shyest personality could instinctually open up to. Out of this small eccentric group of musicals is the one that you could argue started it all. Mamma Mia for a lack of a better word captured lightening in a bottle with Abba’s most famous tunes as its musical score. Though it can be easy to put on a production of the show, it can arguably be very hard to replicate its personality. Director Rod A. Lansberry, and the company of the Arvada Center’s production of Mamma Mia that opened September 7th, have proven that lightening can strike twice. Capturing the heart and soul of one of America’s most popular feel good musicals in a time when we need it most. What this company embraces about the musical brings the audience into the cheeky Greek Island of Kalokairi, even before they can set foot in the theatre. Once inside we see the incredible Mariah MacFarlane, whose wide eyed Sophie is nervously sending letters to three men, who may or not be her potential father, to her wedding that is taking place within the coming days. When they accept and come to the island unbeknownst to her hardworking independent mother Donna, (Shannan Steele), what ensues is a crazy but heart filled adventure about family, love and what it means to be a free spirit. The heart and soul of Mamma Mia has always been within it’s characters, their wild, loud, and energetic personalities putting such a spin on Abba’s songs. MacFarlane commands the stage with her beautiful voice and performance, but there is just something about the mother-daughter connection that she has with Steele that is so profound that by the end of act 2 you truly believe that the two were related. Shannon Steele has well established herself as one of Denver’s most lovable and talented actresses working in today’s theatre scene. She of course has proven time and time again why she continues to be, and as Donna she absolutely shines. “Slipping Through My Fingers,” was the moment she stopped the entire show with just her presence and voice. Encasing the beauty and sacrifice of motherhood that is so very hard to create. And just like the talented storyteller she is, places the show on track once again. All the while allowing you to see the undertones to Donna’s inner struggle, but pride that she has for her daughter and her choices. But where would Donna be without her talented dynamos Rosie, (Kitty Skillman Hilsabeck) and Tanya (Piper Lindsay Arpan). The comedy chops these two women bring to Rosie and Tanya are unstoppable. Even in the background the facial expressions of Arpan make one laugh even before the one liners come in. Her actions are very much so what the character of Tanya is-with a little hint of Christine Baranski mind you-which makes for such good theatre Arpan deserves every line of praise she gets for this performance. Hilsabeck receives her own praise as well, with being the understudy for Rosie. (Originally to be played by Megan Van De Hey) and bringing her own feel to the role. “Take A Chance On Me,” was filled with such laughter due to Hilsabeck’s performance that I’m pretty sure she brought tears to some eyes from their laughter. What is all the more impressive is that of Hilsabeck’s choreography that is within the show; her hard work, and limitless creativity is worth admission alone. The entire cast you can tell is having a blast while taking on this show, encasing what is so important about this musical and why so many people have fallen in love with it over the years. The emotions are spontaneous and irresistible to all who come in contact with them. What also helps is the incredible set design by Brian Mallgrave and costumers by Clare Henkel that create an atmosphere that throws the possibility of colder weather out of the door. A show is only as good as it’s designers, Mallgrave and Henkel certainly surpass expectations and expertise when it comes to the feel their designs give to the audience and to the story. In all honesty Mamma Mia is just one of those shows that I rarely hear someone not enjoying or admitting with a sour look on their face that it is a good show. The music, the costumers, the characters, it’s all just so wonderful and enjoyable that it's the escape many people long for after a long week in reality. This productions personality is infectious, Lansberry has put together one of the best openers to the fall theatre season; the charisma, charm and wit that the cast creates is truly unable to resist.